Next Thursday at Starline Social Club, dancer and singer Saturn Rising celebrates the release of his newest EP, Darkest Dream. The five-track EP will be released on Molly House Records (founded by the folks behind Swagger Like Us), who count Saturn as their latest signee. 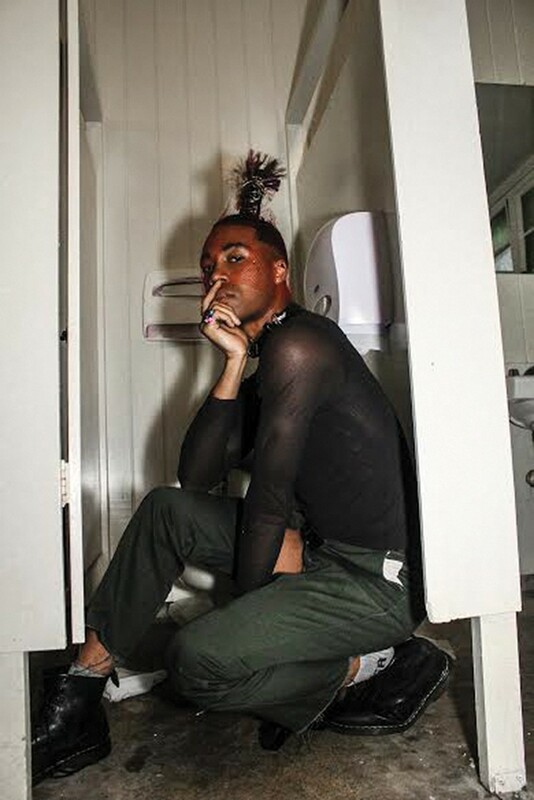 Saturn began as a backup dancer for San Francisco electro-pop duo Double Duchess and has since shared the stage with the likes of Alice Glass, Palmistry, Big Freedia, and Le1f. Off stage, he’s been an active member in the Bay Area indie club and art scene hosting events, acting in queer theatre, and judging vogue contests. Darkest Dream follows Saturn’s 2016 debut album RYAN and previous releases under his former name, King Saturn. The EP’s vibrant mélange of electropop beats and R&B melodies are accompanied with earnest, recitative lyrics from Saturn. Aside from a full performance of his latest project, Thursday night’s release party also features performances from Spellling and DJ sets from davOmakesbeats (of Double Duchess and Swagger Like Us) and Club Chai’s 8ulentina & Foozool.